Online ordering menu for COFFEE BEAN. 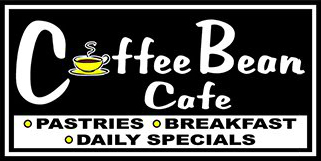 Come to Coffee Bean Cafe for a cozy and friendly atmosphere serving fresh salads, soups, gourmet sandwiches, wraps & daily specials. We also offer a variety of coffee options! Coffee Bean is located off of Coursey Blvd and Parkoaks Dr, near the Vanguard College of Cosmetology and the Grand Family Dentistry. We are currently offering carryout via online ordering.